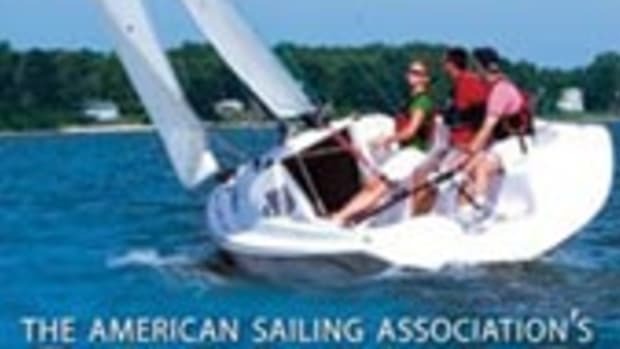 Soundings magazine has relaunched its Boats for Sale and Sell My Boat online options. Buyers searching for a boat can now choose to exclusively search the boats listed on SoundingsOnline.com, Boats for Sale or expand their search to the nearly 400,000 new and used boats offered by Soundings&apos; partners. "For 47 years, boaters on the East Coast have turned to Soundings to find the best boats at the best prices," said Ian C. Bowen, Soundings&apos; editorial and IT director, in a statement. "Now, readers can choose to stick with the name they&apos;ve trusted for years or harness the combined search power of our media partners: Boats.com, Boat Trader and YachtWorld.com." The Soundings Boats for Sale splash page allows users to search from all four databases. Readers in the market for a new or used boat can visit the site and click on the "Buy a Boat" tab at the top of the page. Users can harness the search engine to sort by brand, state, price, length and year. They can contact the seller by simply clicking one button. Soundings is also redesigning its Sell My Boat Online page to make it easier for readers to upload their own boats-for-sale advertisement with up to 12 photos, and review their own ad instantly. Listings appear in the Soundings print magazine and on the exclusive Soundings Boats for Sale database and are also automatically listed on www.boattrader.com and e-mailed to thousands of readers through Soundings&apos; electronic newsletter, Dispatches, and the Boats for Sale digital edition. "Our revamped Sell My Boat Online site has made it even easier to reach Soundings&apos; audience of &apos;Real Boaters,&apos; " says Gretchen Dare, circulation director and business manager for Soundings Publications. 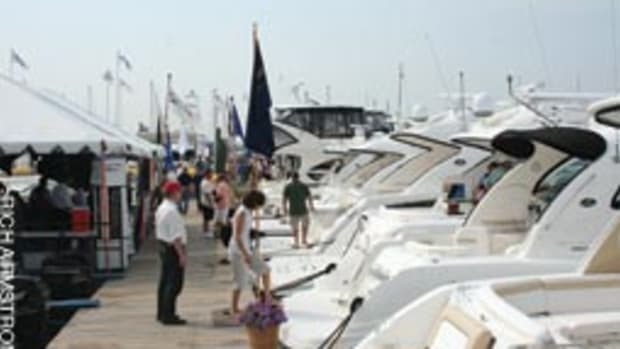 To list a boat, sellers should visit www.SoundingsOnline.com and click on the Sell My Boat tab at the top of the page. 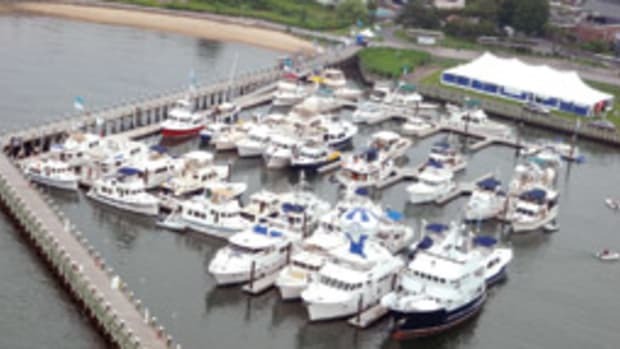 The Connecticut River Museum in Essex, Conn., will host an in-water, used-boat auction and nautical flea market June 19 - the first event of its kind in the shoreline area. Boats for auction will be on display at the museum&apos;s floating docks while nautical goods and antiques will be for sale on the waterfront lawn overlooking Essex harbor. 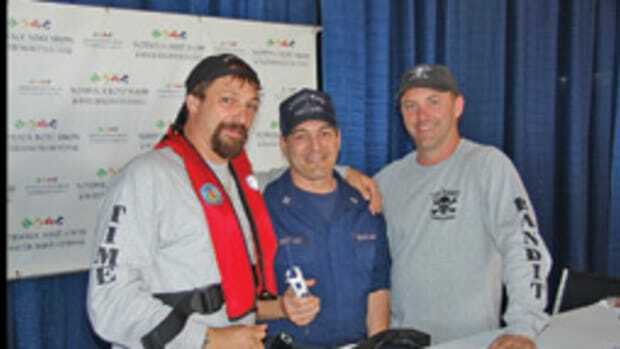 The organization is seeking donated boats in sellable condition. It will also consider consignment boats with a percentage of the sale paid to the museum. Vendors of used or antique boating equipment can rent space at the flea market. The day&apos;s activities will also include music, food and information on environmentally responsible boating. Net proceeds will help support the Connecticut River Museum. Boat donors and sellers and nautical vendors should contact executive director Jerry Roberts at jroberts@ctriver museum.org. Boat Trader released an iPhone application that puts more than 100,000 new and used boats, yachts, sailboats and personal watercraft at shoppers&apos; fingertips. The free Boat Trader application can be downloaded from the lifestyle section of the iTunes Store by searching the keyword "Boat Trader." The new Boat Trader iPhone app is GPS-sensitive, allowing boat shoppers to quickly find nearby boats for sale. The search tool allows users to search for boats by type, new or used condition, price range and model year in a specific zip code or by location. The application also saves the user&apos;s recent searches and vessels viewed to make finding boats even easier. The Boat Trader application lets users view multiple boat and dealer locations on enhanced Google maps and quickly access driving directions. Each boat listing provides a detailed description, including length and engine hours, along with multiple photos of the boat for sale. YouTube and manufacturer videos appear on select listings. 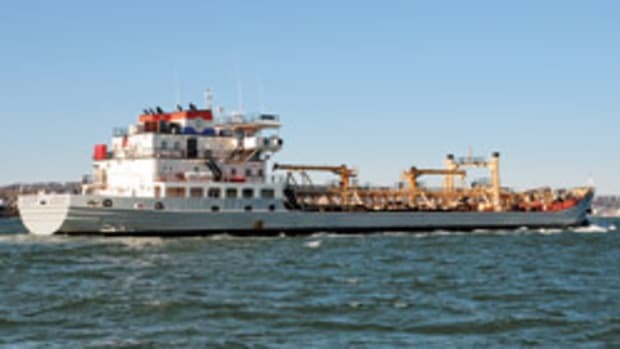 Boat Trader and Soundings Publications are divisions of Dominion Enterprises. Grand Banks Yachts announced two new authorized dealers selected to represent the luxury boatbuilder. Galati Yacht Sales will manage Grand Banks sales along the Gulf region from Alabama down through the west coast of Florida, while HMY Yacht Sales will represent Grand Banks on Florida&apos;s east coast. Galati Yacht Sales is the largest "Five Star Re-Certified" dealer in the marine industry today. The dealership maintains a team of more than 175 members to provide sales and service support for customers throughout the region, according to Grand Banks. 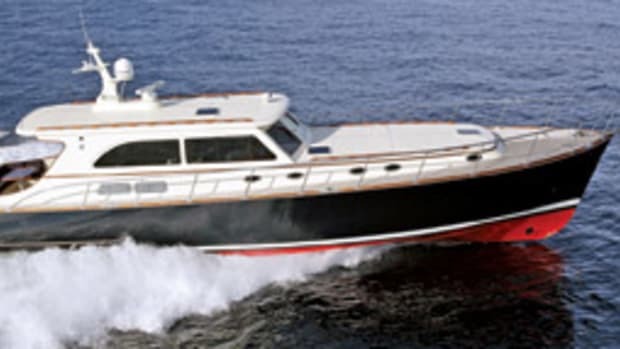 Galati Yacht Sales will manage sales of Grand Banks Yachts through its Florida offices in Naples, Cape Harbour, Anna Maria Island, Tampa Bay, and Destin, plus Orange Beach, Ala.
HMY has been representing the world&apos;s yacht manufacturers since 1979. On the east coast of Florida, HMY will represent Grand Banks at its locations in Miami, Fort Lauderdale, North Palm Beach, Palm Beach Gardens, Stuart and Jacksonville. This article originally appeared in the Connecticut and New York Home Waters Section of the April 2010 issue.